National Working Committee (NWC) to aggrieved members of the All Progressives Congress (APC) to withdraw their suits or face sanctions amounts to arm-twisting. He said he would not be intimidated by anyone in Abuja. The APC NWC had threatened to sanction members who took the party to court over the fallout of the just-concluded primaries, if they refused to withdraw the suits. But Nwosu, who said he won the October 6 governorship primary, insisted that the threat of sanction would not stop him from pursuing the matter to a logical conclusion and reclaim his mandate. 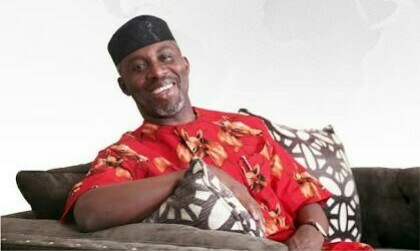 The APC chieftain insisted that before heading to court as the authentic APC governorship candidate in Imo State, he had made efforts to resolve the crisis with the party’s leadership through internal mechanism to no avail. Nwosu said he wrote several letters to National Chairman Adams Oshiomhole with the hope of bringing him to resolve the matter at the early stage but was rebuffed. The APC chieftain said he discovered that the Chairman of the APC Primary Election Committee, Ahmed Gulak, was allegedly assigned to deliver a certain aspirant. He said he raised alarm through a letter to Oshiomhole but was ignored. He said: “It is unfortunate that the National Chairman of our party is just waking up now after causing the trouble. He had all the time to resolve the issue before now but refused to do so. In line with the constitution of the party, I exhausted all avenues to have my matter resolved, using internal mechanism, but nobody came to my aid. “I personally wrote three letters to the National Chairman and I have the acknowledgment, but he never responded to any of the letters. “My first letter was to inform that Ahmed Gulak was not coming to conduct a primary in Imo State, that he was coming to impose a certain aspirant. But he snubbed me. The second was to complain about how Gulak absconded to Abuja to announce a fake result; still, he didn’t respond. The last one was to tell him not to substitute my name as the winner of the governorship primary.